Youth Energy Camp | Harmon Electric Association, Inc. 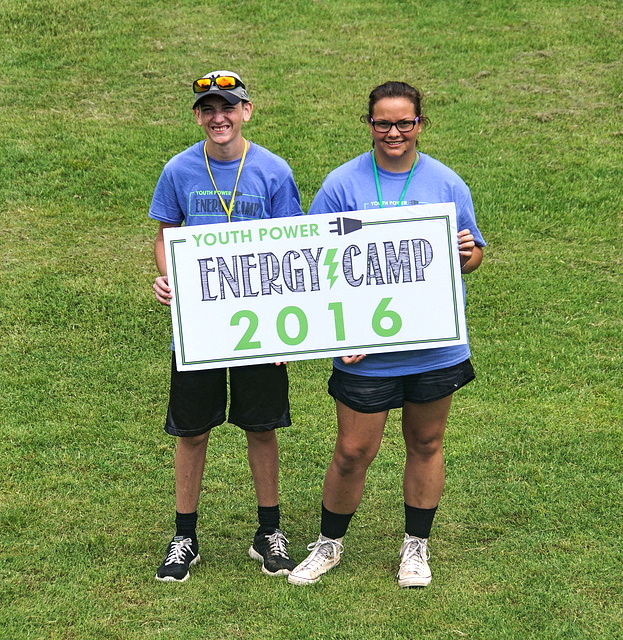 Youth Power Energy Camp is designed to help you develop your leadership skills, have summertime fun, and at the same time learn about one of rural America's most important industries - rural electrification. As one of the outstanding young people chosen by your local cooperative to participate in the Electric Cooperatives of Oklahoma Youth Power Energy Camp, you'll spend a week enjoying the pleasures the Red Rock Canyon area offers - from volleyball tournaments and swimming to hiking and roasting marshmallows over an evening campfire. And best of all, you'll make friendships that will last a lifetime! Join us at Camp Canyon, near the beautiful Red Rock Canyon, where you'll experience first-hand the exciting world of rural electricity - watch safety demonstrations, climb a pole, watch a co-op crew at work, and tour one of the largest generating facilities in Oklahoma. Plus you'll have the opportunity to sharpen your leadership skills by working with new found friends from every corner of the state to set-up and run your own cooperative business.